We’ve been getting a lot of advice regarding feminine yin energy. The energy of allowing and receiving. This week in order to reach our goals we must flip the switch and tune into our masculine energy to reach our goals. This week requires confident action towards what really matters. Eliminate what does not serve you and focus on what does. The full moon on Saturday will be a fantastic aid for this. 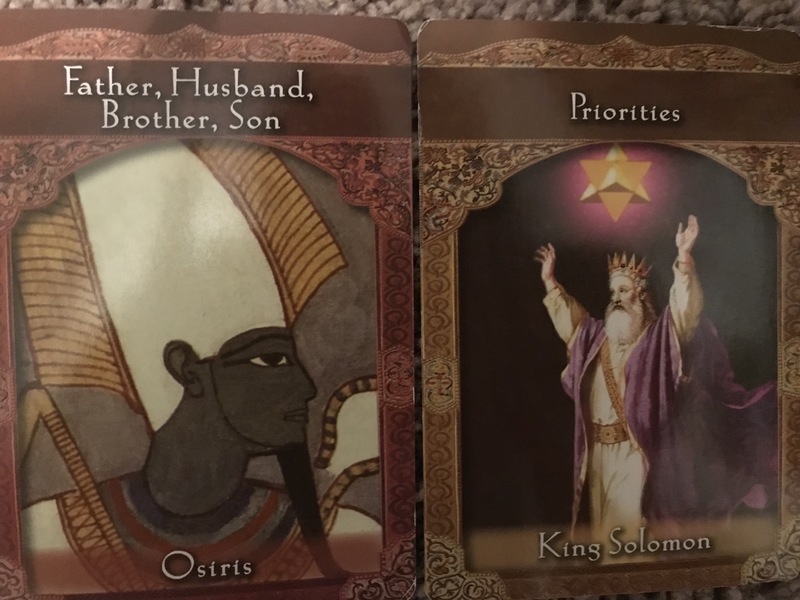 Set your intentions for passionate focus on your priorities and tune into the power of the divine masculine yang energy. You may encounter opportunities very much outside your comfort zone, where you’ll have to be decisive and even a little impulsive. Have faith, this is a better direction than where you’ve been. Take ownership of what drives you this week and go full speed ahead. The ascended masters will support you in confronting fear and rising above it. Thank you so much for being here! Here’s a couple of ways to support this blog! Subscribe below to keep up with the latest content! Previous Post Oracle card of the week 10/24/17 better late than never!